Will Scarlet is good at two things: stealing from the rich and keeping secrets--skills that are in high demand in Robin Hood's band of thieves, who protect the people of Nottingham from the evil sheriff. Scarlet's biggest secret of all is one only Robin and his men know . . . that the boy terrorizing the sheriff's men is really a girl. 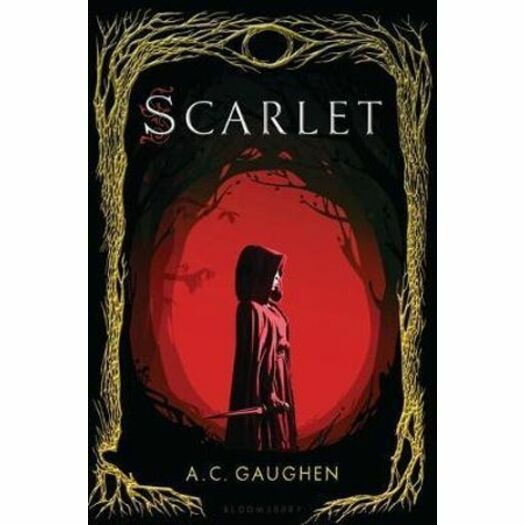 Scarlet's identity is in danger of being exposed when Lord Gisbourne arrives in town to rid Nottingham of the Hood and his men once and for all. As Gisbourne closes in, Scarlet must decide how much the people of Nottingham mean to her, especially Robin, whose quick smiles have the rare power to unsettle her. There is real honor among these thieves and so much more--making this a fight worth dying for.